Once in a long while, I stumble across something that sparks my creative interest and spurs on my desire to further explore the fate of humanity – doomed to be at odds with itself, the universe, and all of creation until our eventual extinction. Despite that introduction, I am not a pessimist or a misanthrope. What I am is the ultimate anti-creationist. I am the sworn enemy of theocracy. I believe the spiritual success of a civilization is proven by its celebration of science and the arts and not the amount of wealth it commands, or how much power it can exert, or how religiously pious its people are. In evolutionary terms, a biological organism is considered successful the moment it reaches the age of sexual maturity. Everyone is living on borrowed time. It should come as no surprise I also crave provocative philosophical notions in my diversions. 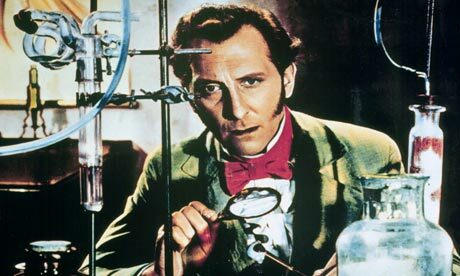 My favourite film character of all time is Dr. Victor Frankenstein as portrayed by Peter Cushing (who played the role at least 6 times), a cold and calculating man capable of putting on a façade of human emotion in order to manipulate those around him. His work is beyond the scope of being judged by his fellow man, and the importance of his experiments justify using any means necessary to complete them. And yet, despite being very vocal about his progressive and self-serving views on pleasure, politics, and love, Lord Henry is not the scoundrel he claims to be. The true villain of the story conversely hides behind a mask of gentlemanly behavior and virtue. Returning to my inspirational discovery, a short while ago I was recommended a book that I might be interested in, if only because my taste in literature and film gravitates to things both blasphemous and scientific. The story is also set in late 19th century England, a time and place I am very fond of. 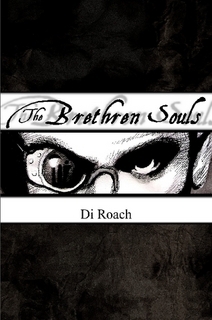 That book is The Brethren Souls by Di Roach. The title refers to a secret society of ages past whose goals were to uncover the missing links between science and the supernatural. They succeeded, and then disappeared along with all their work. Many years later, Augustus Fargeau, a young student of science, makes a discovery that leads him down the same blasphemous path that his predecessors in the Brethren had taken. He begins to learn of the true nature of life after death, and through true Victorian ingenuity he utilizes some very interesting technology to study it (I am reminded of the style of scientific tools Johnny Depp uses in Tim Burton’s Legend of Sleepy Hollow). Like Dr. Frankenstein, Fargeau has sacrificed personal relationships with loved ones (family, friends, bride-to-be) in order to give his work his full attention. He also commits atrocities in the name of science with little more emotion than one who is experimenting with different ingredients for a pot of stew. He is challenged, ridiculed and laughed at on more than one occasion and spends time in an asylum where all the seeds of his future success are first revealed to him. I am particularly fond of the coup de grace at the story’s end where his scientific triumph is at long last proven to his critics in a most unsettling way. I must admit, I saw it coming, but not everyone will. Those with a peculiar desire to see poetic justice carried out will delight in the final chapters of this book. What really hit close to home with me, however, was the Brethren Souls themselves. The concept of a secret society working towards a blasphemous goal of understanding the workings of “God” under the guise of a scientific community is very similar to the concept that The New Jacobin Club has been working with for many years. To be precise, our upcoming album “Soldiers of the Mark” is about a secret society disguised as a gentleman’s club that has been quietly preparing for the coming of the two Beasts and the 1000 Year Reign of The Antichrist as described in the book of Revelations. Sounds idiotically heavy metal cliché, doesn’t it? But the truth ruins the fantasy – just as my friend Adam McKinnon recently pointed out in this nasty bit that tears into the traditions of Satanism in music. The truth is close to home. In The Brethren Souls, it turns out a soul IS a real thing….and just like anything that actually exists, it can be captured, contained and controlled. Does that make one who can contain a soul after death equal to God? In “Soldiers of the Mark”, The Beast of the Earth and The Beast of The Sea DO exist. and the 1000 Year Reign of the Antichrist has already begun. It’s happening all around us, and every time you trade intangible currency for material goods you are only proving that you wear The Mark as well. Does that make us ALL enemies of God? Perhaps the Brethren Souls know the answer. as always, we need your comments and feedback! leave it here!